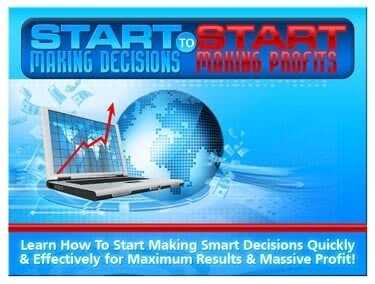 Learn the secret formula on how to start making decisions quickly and effectively for maximum results and massive profit video series. 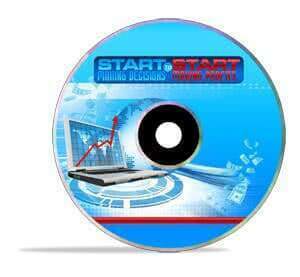 Finally Revealed – The “It” Factor The Highly Successful Use For Massive Results In Every Area Of Their Businesses & Lives! How you can use My secret formula for making the right decisions fast, Every Time, without worrying about what “Could” happen! Are you tired of getting mediocre results in your life, in your business, and in your relationships? It’s time that you learn what makes one person successful and one a miserable failure. Life doesn’t have to be a stressful, worrisome affair if you just know what the highly successful know. 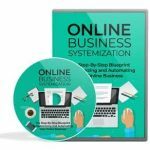 You’ve probably spent a considerable amount of time on the Internet surfing and trying to find a way to make your business life a success. Maybe it’s through a business of your own. Maybe you’re trying to find information online that will help you get on track and actually start seeing results. Whatever your situation, you’re part of a large group of people who are rabidly seeking the secrets to success, decision making, and lifelong confidence. I probably don’t need to remind you of the fact that there seems to be a new “program” coming out every single day on how to achieve success. Sadly, many people are at their lowest points this past year. They don’t know what to do in their life, they are having trouble succeeding and they will try anything. Without work, it doesn’t matter how many tapes, CD’s or new courses you have or buy – you’ll never achieve your dreams without work. Avoid “Dream Merchants” And Snake Oil Salesman! We both know this just isn’t possible. The biggest tip that I could ever give you to achieve success in your life is to avoid all people trying to sell you some “genie” based system. If it sounds over hyped and too good to be true, it is – believe me. It’s no secret that you have to work to achieve your goals. Without working toward the achievement of your goals, you simply will never get there. Don’t get me wrong, I’m not saying that the only option is grueling, back breaking work to get from where you are to where you want to be. Thankfully, that’s not he case either! Hard work makes the efficiency tricks I’m going to show you MORE efficient. The efficiency tricks I’m going to show you help make hard work easier and faster. If you don’t make decisions, you don’t move toward your goals and you don’t ultimately achieve any of them. Are you an effective decision maker? Do you make snap decisions that always seem to be right? If not, you’re not alone! Sadly, the majority of people in the world suffer with whishy washy decision making that doesn’t move them toward their goals but keeps them floundering instead! The stress comes from over analyzation of a decision and wanting to make the “perfect” decision. This usually results in no decision which means NO results! It goes without saying that if your mind isn’t in order, the decisions that you make aren’t going to be either. In fact, I’d go as far to say that if you don’t have some kind of organization mentally, you are not going to be able to make a single effective decision. Sure, you might be able to make a decision but I can almost guarantee that it won’t be the best choice and will almost certainly result in wasted effort and frustration. Having command of your mental facilities is like having command of the steering wheel in your car which we know is vital in getting where you’re going! 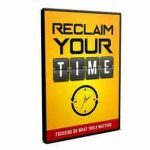 There are hundreds of “tools” out there that you could potentially use to get yourself organized in life, business and any other area of your life. Unfortunately, there are so many of these so called tools that we usually can’t decide on to use because of the abundance of choices! For those of us who do find a tool to use, many of us find that the tool may have seemed like a great idea in “theory” but when put it to actual use, doesn’t work at all. I’ve personally encountered this dozens of times in my life when testing out various tools to get more organized or efficient. I’m going to go out on a limb and say that you’ve probably encountered frustration with efficiency tools as well! The good news is that there is a solution. Even if you’re confused about where to start, this will work for you! The good news is that you don’t need to spend hours making a proper decision. In fact, I’m going to show you how you can make effective decisions almost instantly! This is truly a life changing experience. Once you have control of your decisions and organization, you’re well on your way to achieving your goals! I know that’s not what you want or you wouldn’t be at this page, reading this letter and thinking about your decisions. By making the most effective decisions possible and doing it in a fast and confident manner, you are going to gain control over where you’re life is headed. Categorization – Here you learn the most basic element of mastering your mental facilities so that you can make lighting fast decisions that get results. Blueprinting For success – this section takes you by the hand and guides you to instant clarity on what actions to take when you make your decisions so you can move toward your goals immediately. Building Intuition – you really can build intuition just like a muscle so that when you make decisions, you instinctively make the right one that gets the fastest and most powerful results! Right brain secrets – most people use the wrong part of their brain when analyzing decisions which results in sub par, ineffective decision making. Learn how to overcome this for good! 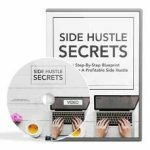 Logic & Huddling – These tricks are going to show you how to take your organization, mental clarity and decision making power to the next level so that you’re always performing a few steps Ahead Of those around you. Group Decisions making – learn to mesh the brains of many into one powerful decision making engine! Super Fast results – The fastest, easiest to implement system for creating immediate change in your decisions making ability! Are you tired of making stressed out, muggy decisions that don’t get the results that you know you’re capable of? Making decisions that are made in times of stress or in times where you can’t effectively analyze the situation will do nothing but harm your chances of achieving your goals. This will bring you further away from your dreams rather than closer to them.